Discussion in 'Android News' started by DroidModderX, Nov 12, 2015. Google just released an update to their Play Books app. They are so giddy for you to use it that they have decided to give away 44 popular issues. These are mostly first issues. Possibly Google is doling these out hoping they an get you hooked on a few of these series. 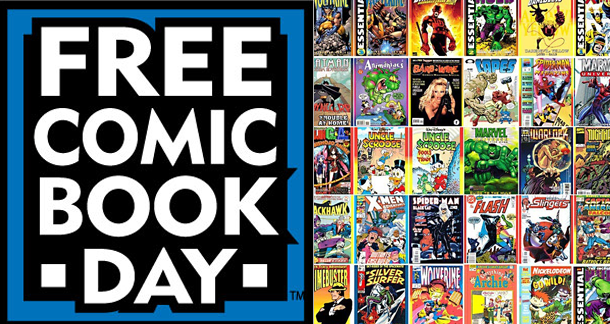 Some books in the giveaway include Batman 2011-, The Walking Dead, Orphan Black, Spawn, Teenage Mutant Ninja Turtles / Ghostbusters, Star Wars, and more! To grab your free copies head to the link below. I've never really gotten into comics, but I snagged a handful of those that looked like they might be interesting, since they're free and a big part of never getting into them is simply that I've never really given any of them a try. Bummed there's no spiderman but this is sweet! Yeah...not too much I already own, but it gave me an excuse to check out the update to improve comic reading. It's always that way.. We who reside outside the US never get any of the Google promotions. And welcome to the Droid Forums! Running a VPN on your phone doesn't work? When I try to access a Google Deal I get a message "Not Available In Your Region" and the deals are not displayed. When I use my VPN I can see the deals but when I log in with my Google account they know I'm not in the US and won't allow any deals or any product purchase..